Consolidating its position in the main markets and lay the foundations for new common projects: this is the strategy decided by BolognaFiere Cosmoprof, organizer of the events of the international Cosmoprof network, has consolidated its leadership in Europe with new shows in the professional beauty salon and nail sectors thanks to the acquisition of the German group Health & Beauty owner of the Beauty Forum Brand. Beauty Forum has taken place in 10 European countries, counting 1,600 exhibitors and 130,000 visitors totally. Among European professionals, the reputation of this event format is growing. The 2018 exhibitions of the Beauty Forum platform, organized by Health and Beauty, reached very satisfactory results throughout: in Germany (Munich and Leipzig); in Switzerland (Zurich); in France (Paris); in Poland (Warsaw); in Hungary (Budapest); in Romania (Cluj-Napoca); in Greece (Athens), Slovakia (Trencin), Macedonia and Slovenia (Ljubljana). Beauty Forum is considered the best performing trade show to meet new demands imposed by the market for the professional beauty salon, spa and nail sectors. 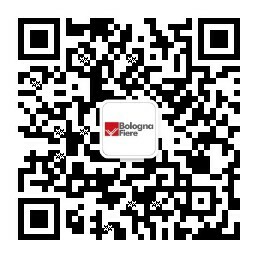 The BolognaFiere Group achieved success in beauty industry and the Cosmoprof network format is reaching the whole world. After the acquisition, together with the events in Bologna, Las Vegas, Mumbai and Hong Kong (with Cosmoprof Worldwide Bologna, Cosmoprof North America, Cosmoprof India and Cosmoprof Asia), the group participates as international sales agent for events dedicated to the beauty world in strategic markets for the the sector: Belleza y Salud, in Colombia, in Bogotá, and AseanBeauty (Thailand), PhilBeauty (Philippines), VietBeauty (Vietnam) and BeautyExpo (Malaysia) in Southeast Asia. From 2019, the Cosmoprof platform in South America will reinforce its influence, thanks to the collaboration with Beauty Fair – Feira Internacional De Beleza Profissional, the event in Sao Paulo, Brazil, for local beauty professionals and distributors.